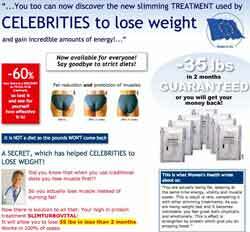 Slimturbovital – the new slimming product that helps celebrities lose weight. Does it really work? There are a host of dieting aids out there ranging from the effective to the downright dangerous. Slimturbovital is one of the new kids on the block. What’s it all about? Can it really help you to lose weight? Are you really going to experience turbo-charged energy whilst getting slim at the same time? The manufacturers claim (or rather guarantee) that you can lose 35lbs in 2 months or your money back. The product with the complicated compound name is basically a slimming supplement that gives you a high-protein boost. The theory is that this product prevents dieters from losing muscle mass while dieting. It’s said to give fast weight loss results while helping slimmers to keep their energy levels up. There’s also a money-back guarantee which looks pretty good on the surface. The website claims that celebrities have been using this product for years and that it will help you to shed fat from the problem areas most women worry about without causing any wasting of muscle. Its claim of effectiveness from day one is certainly questionable and the ‘celebrities’ that have endorsed it remain unnamed and faceless. Apparently, all you need to do is drink the supplement before meals; you don’t even have to adjust your diet. Apart from giving you a boost of protein, vitamins and minerals, the product is said to reduce your appetite. Since the active ingredient in slimturbovital is whey protein, it certainly won’t do you any harm and might do you a whole lot of good. On the other hand, critics say it’s just a protein shake and isn’t going to make you lose any weight at all unless you also adjust your diet or get more exercise. Reviews on this product vary from the breathless and laudatory ‘client feedback’ posted by impossibly beautiful girls on the slimturbovital website to the disbelieving remarks of those who discover that the product with the fancy name is just a protein shake. The good news is that it’s a healthy drink that is packed with nutritious ingredients, the question remains: does it make you lose weight or not? The claims on the website are certainly a little off-putting. If this product was only available to celebrities in its early years, why aren’t there a few famous faces to lend credence to this claim? A host of favourable reviews on yahoo.com look very contrived and may raise a sceptical eyebrow. The claim that you’ll lose weight no matter what you eat or how little you exercise is certainly questionable even if this admittedly healthy shake reduces your appetite. Any Evidence To Base The Claims On? There doesn’t seem to be any scientific basis behind the logic and the claims of guaranteed weight loss of up to 35 pounds in two months sound excessive in the absence of any diet or exercise plan. This said, you’re at least perfectly safe with this product. There won’t be any odd side effects or health-risks. 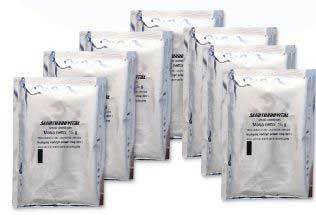 Whey protein never killed anyone! However, if we overlook the awful marketing and the even worse product name, there’s no reason why a shake such as this one wouldn’t be beneficial if it’s applied as part of a holistic weight loss program. Just drinking the shakes probably isn’t going to do the trick, but if you combine it with a low calorie diet and a sensible exercise program, you’ll probably find it more helpful and you won’t feel as hungry as you would have without the shakes. A few less extravagant claims, less whispering of ‘celebrities’ and a sound diet plan to go with the supplement and you’re looking at a pretty good dieting aid that’s nutritious, harmless and will help you lose weight in a sensible way. What’s more, it makes sense that drinking a protein shake before meals will make the average person less hungry helping them to eat less and thus lose weight. In its favour, Slimturbovital is a dieting aid that’s 100% safe, will give you a protein boost that keeps your energy levels up and should help you to feel less hungry at mealtimes. The price is a bit on the steep side and you could probably make your own protein shakes for less, but it’s an easy nutritional supplement for busy people. On the other hand, the product’s website makes extravagant claims that it probably can’t back up and features spurious-looking reviews. Verdict: not bad, not brilliant either. There’s a horrible attempt at marketing hype that doesn’t do the product any favours and the makers’ claims should probably be taken with a pinch or two of salt. At the same time, it’s not a bad product. 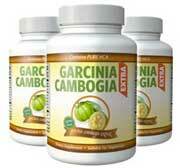 We would highly recommend Garcinia Cambogia and in particular Garcinia Extra. Garcinia Cambogia is a natural fat burner that has been clinical researched and understood to help transport fat away from problem areas such stomach, thighs and hips. Garcionia Extra is a premier brand and has been manufactured under license.